Wireless networking has been preferred by more people as an ideal setup for a home network. Through wireless connectivity, people now have access to the Internet even when they are in different spots at home. Despite its capability to provide connectivity to a lot of people within the home network, wireless networking still has its limitations. With this, methods have been developed to improve this home networking solution. One of them is Powerline networking. The core idea of Powerline networking is to extend your network using Powerline adapters and electrical connections in your home. This is in comparison to wireless networking whose maximum range may sometimes still not suffice. The term powerline refers to the electrical connections in your home. Similar to cable and telephone lines, Powerlines are also capable of broadcasting data. Your electrical connections at home are capable of transmitting data. With Powerline networking, you do not need to use other wirings to send or receive data since you already have existing electrical connections in your home. All you need to do is to plug in a Powerline adapter(s) and you can extend the existing wireless network that you have at home either wired or wirelessly. 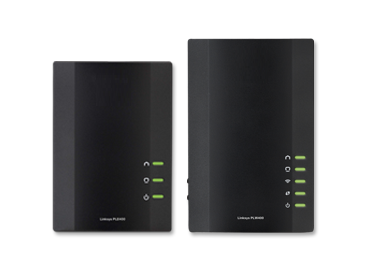 If you are interested in trying out Powerline networking at your home, you can click on the link below to check out the Powerline adapters from Linksys. What do you get from extending your network?